We are a full-service local locksmith that provides a wide array of services for home, vehicle, and business owners in the Northeast Georgia region. We can install new locks and deadbolts, provide key duplication services, and rekey your existing locks. If you don’t see the locksmith service you need, please give us a call, and we’ll see if we can find with a solution that is right for you. 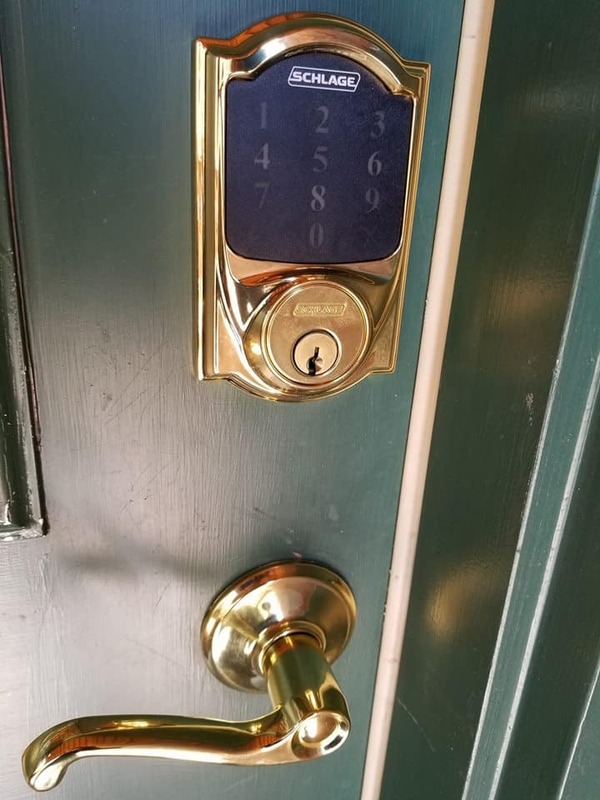 Installed new lever handle and smart lock deadbolt on a cabin in Helen, Ga. Whether you need new locks installed, or your house keys duplicated, professional installation from Danny’s Lock & Key is always the way to go. When it comes to installing a high-quality lock, just purchasing the right tools for the job can cost as much as having a professional take care of it. Our professional locksmiths are experienced in helping home and business owners choose the locks that will fit their needs. As a bonus, we’re a mobile locksmith service and we travel with all of the tools and equipment we need to complete your lock installation at a time that suits your schedule. Danny’s Lock & Key serves Habersham County, White County, Banks County, Hall County, Stephens County and anywhere else in Northeast, Georgia. If you require residential locksmith services or fast help for a lockout, give Danny’s Lock & Key a call. We are a full-service mobile locksmith and we provide service 24 hours a day.